A set of three DVDs containing 76 films (414 minutes), i.e. 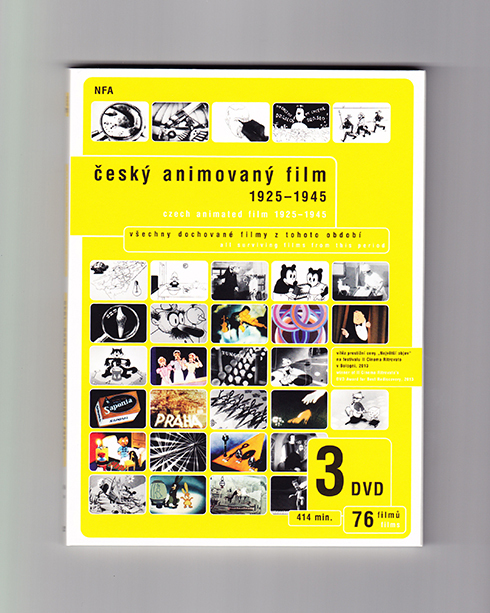 all surviving animated film made between 1925 – 1945 in Czechoslovakia is re-released due to popular demand. The set, which won the Il Cinema Rittrovato’s DVD Award for Best Rediscovery in 2013, includes work by Czech classics Irena and Karel Dodal, Hermína Týrlová or Karla Zeman as well as international filmmakers, who were working for companies based in what is now the Czech Republic. You can order the DVD set here.